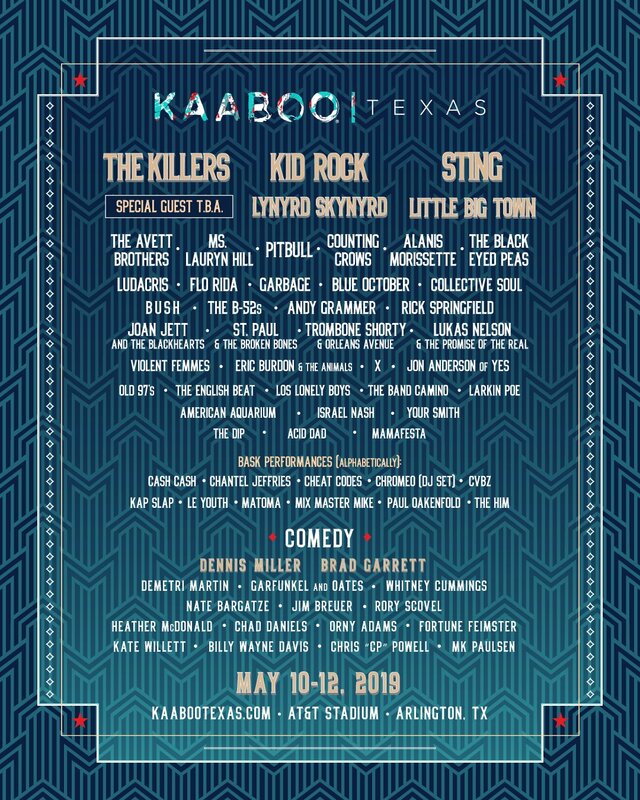 Float Fest combines two of Texasʼ favorite activities, tubing and live music, to create a one of a kind festival experience, with performances by Tame Impala, Bassnectar, Snoop Dogg, Modest Mouse, Run The Jewels, Glass Animals, Lil Wayne, and others. Festival-goers can also enjoy camping on site under the stars. July in Texas is hot during the day, perfect for a dip in the river, and just right in the evening at a comfortable 75 degrees. 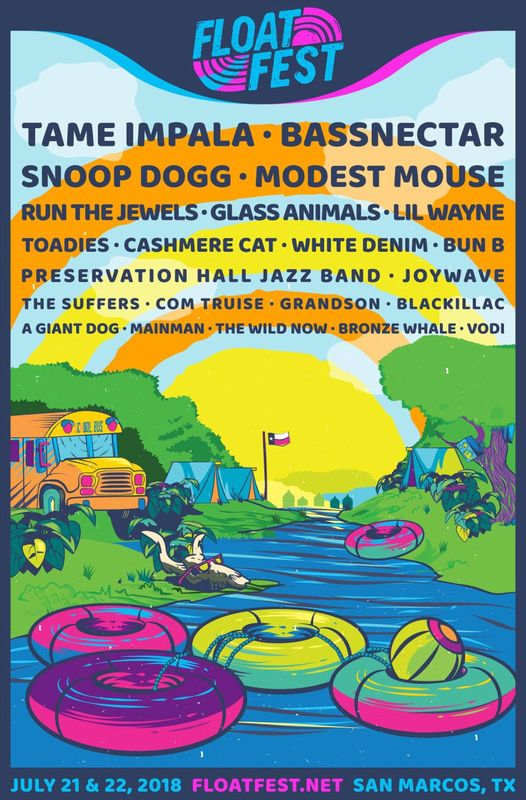 Float Fest 2018 will take place, July 21st and 22nd, offering 2 days of live music and tubing on the beautiful San Marcos River. Float Fest 2018 will take place once again at Cool River Ranch about 5 miles east of San Marcos, Texas. Cool River Ranch is a 225-acre riverfront property that is home to Float Fest. How does this thing work? It’s EASY! The gates at Cool River Ranch open at 8am to all tubers on Saturday and Sunday. Once you show up you will be pointed towards the box office where you can redeem your tubing passes, camping passes, and concert tickets. If you are camping you can check in to your campsite starting on Friday at 2pm-11pm. See our Tubing and Camping page for more information on camping. Once you get your wristbands we will have a large tent and tubing staging area near the box office that tubers will wait for the shuttles. Once your turn arrives to hop on the shuttle, the shuttle will take you a few miles upriver and drop you off at our river drop in location. Then, you FLOAT about 2 1/2 miles back to Cool River Ranch. The FLOAT takes about 2.5-4 hours so come prepared! Once you arrive at Cool River Ranch river exit you will be directed up the hill to the concert gates! Feel free to go back to your car and change or whatever you need to do before you come party at the concert. Easy Peazy! A "Human Net" just beyond the river exit consisting of 4 people will collect any remaining floating debris that might make it past the exit point. Tubing, single day, and weekend tickets are available along with VIP, parking, and frigid float lounge options.